Hummus, could you explain that third photo down? And then in the next pic you are eating something in a sandwich? To each his own....as long as you have enough ketchup. I approach camp 9 via may canyon. Most of the snow I saw was about half a mile away from the helipad. Very nice. How far did you have to go from the turn off Little T before encountering snow? I do not know that road — looks like fun. Does it start at Veterans Memorial Community Regional Park? And how's the road surface -- doable on a road bike with 25s? Yep, up through sylmar veterans park. It's kind of washed out and with rubble due to the latest storms. 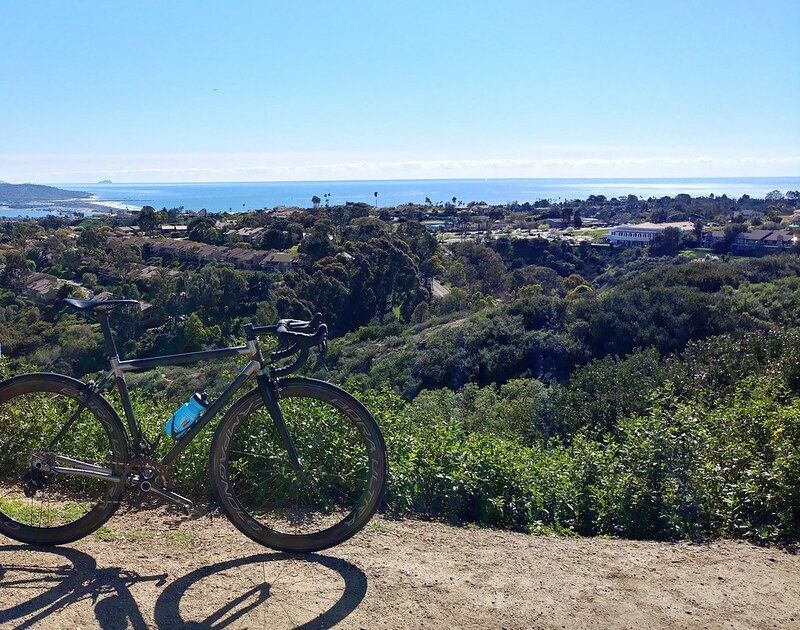 I've taken a road bike with small tires (28mm) in the past multiple times, likely do-able although you might not have as much fun. I can describe it as a crappier Trash Truck (backside of Griffith) with no cars. 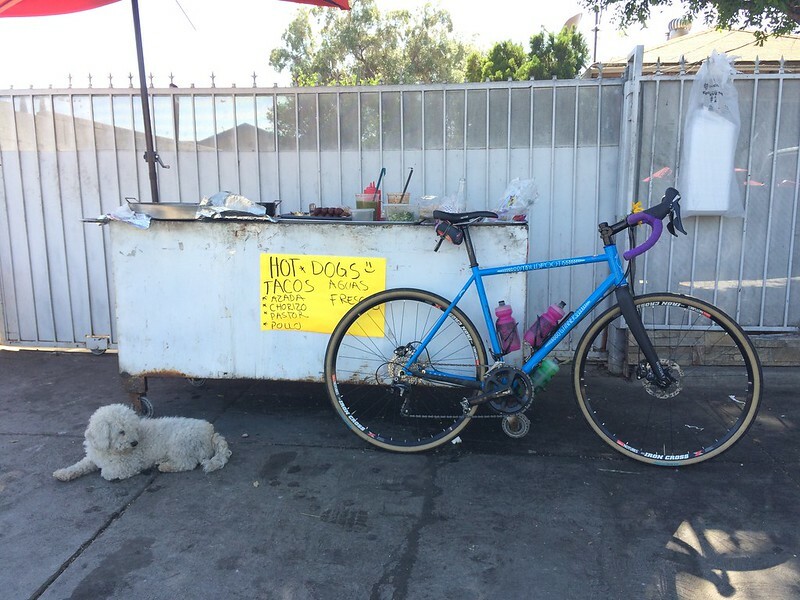 Get tacos on Glenoaks after your descent back into the valley. Thanks…unfortunately I only have road bikes with 25s at the moment and am holding firm that these 2 Colnagos have to go before I entertain a cross/gravel whip. 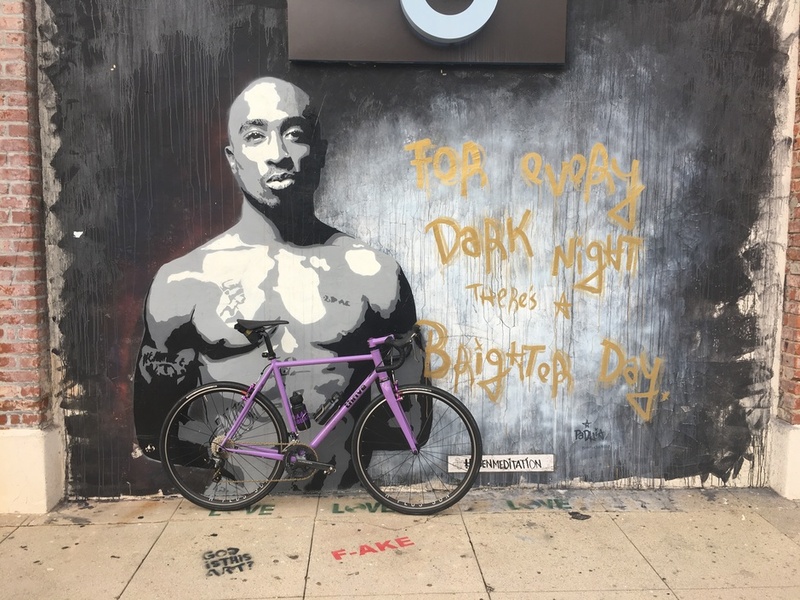 Another LA ride, another mural. Plus my Thrive rocking new tires. Lots of heavy rain the past few days. I love how clear the air is after it rains. it's not the flashiest bike i've ever had, but man, we're having some fun. What an adventure. I planned this with BikeMap App and a Garmin Edge205. We had 20,000 ft of climbing planned but when the road turned rough we found our way with public busses or Taxi’s for a total of 12,493 ft. The Polaroid camera was just 1 of the items in my panniers. The shack was our first nights stay near Paos volcano which erupted that night😛 it took an old 4WD to get in and out. We did some hiking, ziplining, and a catamaran tour for snorkeling, and lots of making friends with animals.